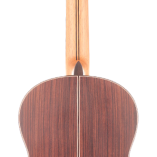 Back and sides of this guitar are made of high quality East Indian rosewood and the top is made of excellent cedar. 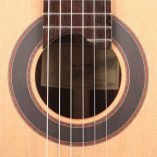 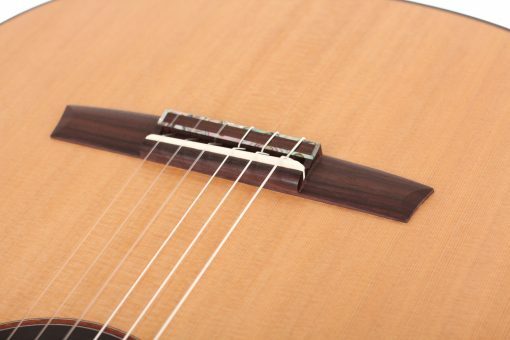 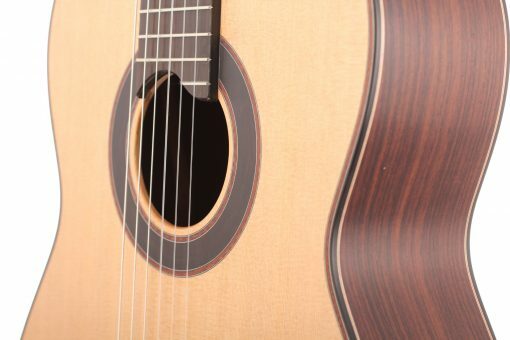 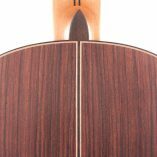 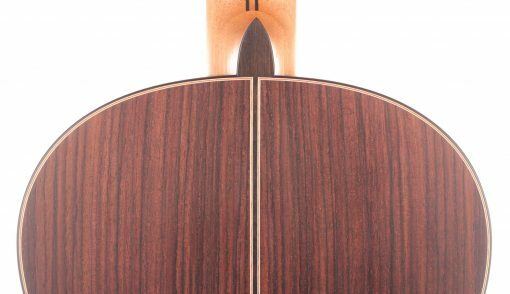 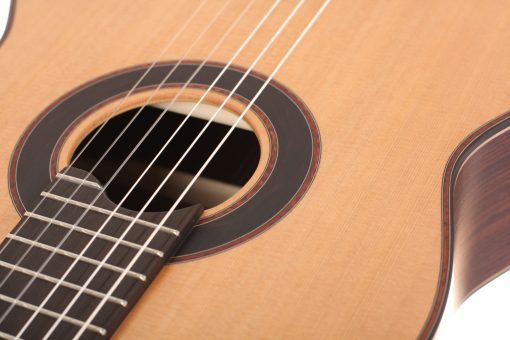 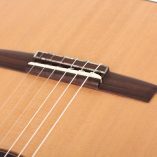 Rosewood is considered one of the most universal tone woods for guitars, along with the thin spruce top the Natural Torres gets a very good attack with full sound and a separated sharp sound. 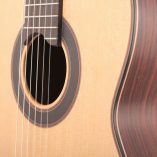 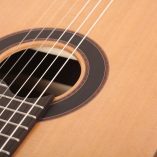 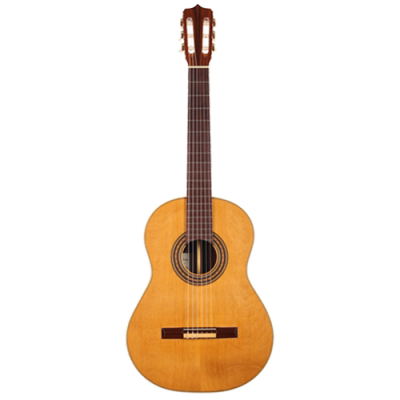 Response and sustain in of this guitar are perfectly balanced, what makes it the perfect instrument for many different type of players. 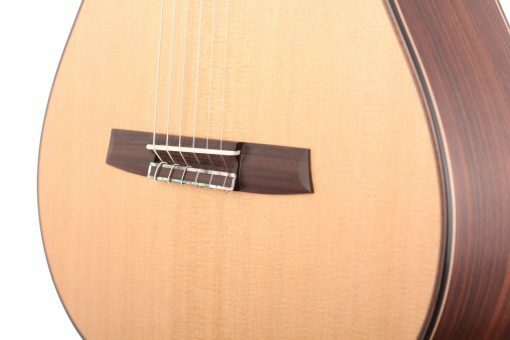 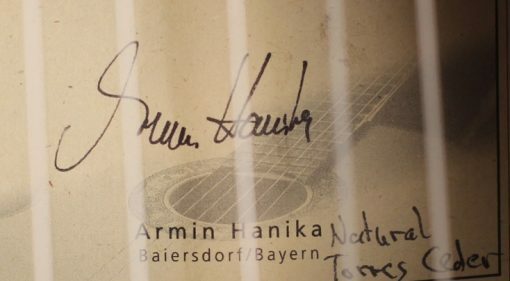 Special feature of this guitar is the HANIKA “NATURAL” surface. 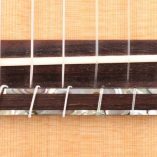 This very thin varnish/wax sealing makes the surface more resistant to typical playing loads and yet the thin sealing creates a particularly open and transparent sound. 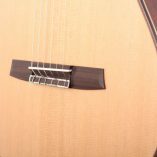 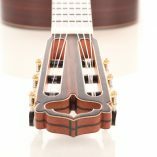 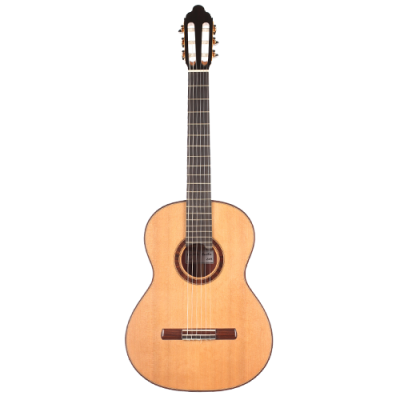 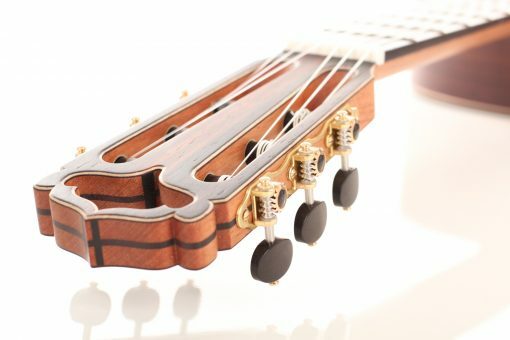 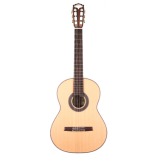 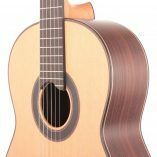 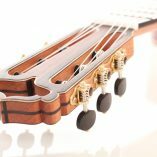 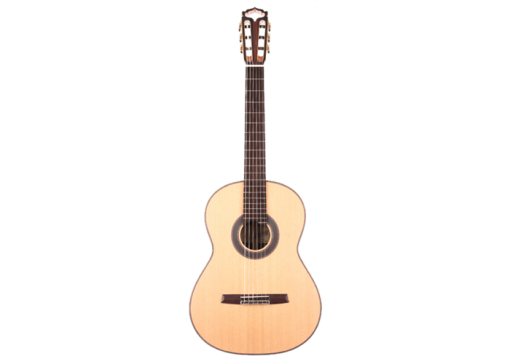 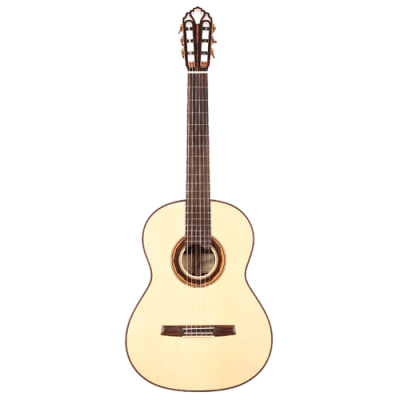 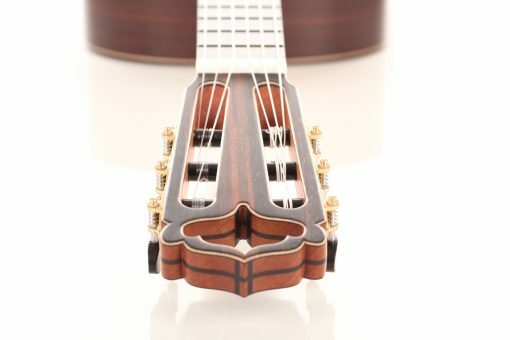 The Alessi mechanics with ebony knobs, the hardwood reinforced Cedro-neck, the fretboard made of African blackwood and the 3-layer rosewood-maple-rosewood headstock underline the high quality of the Natural Torres Cedar. 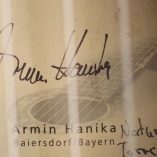 Comes with a Hanika Hiscox Pro II case.